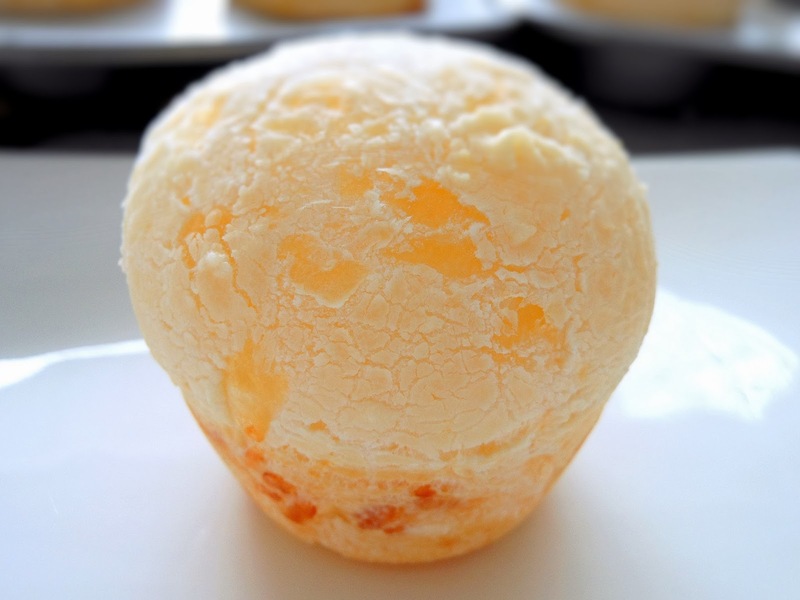 It wasn't long ago that one of my husband's colleagues brought some Brazilian Cheese Bread to a gathering. That was the first time I ever tasted it, and I loved it. As curiosity strikes, I wanted to find out how to make it. I was told that the bread was made with some Brazilian Cheese Bread mix which was originated from Brazil. That sounded so authentic to me. I knew that finding the bread mix was not going to be easy, so I started searching the recipe on line. 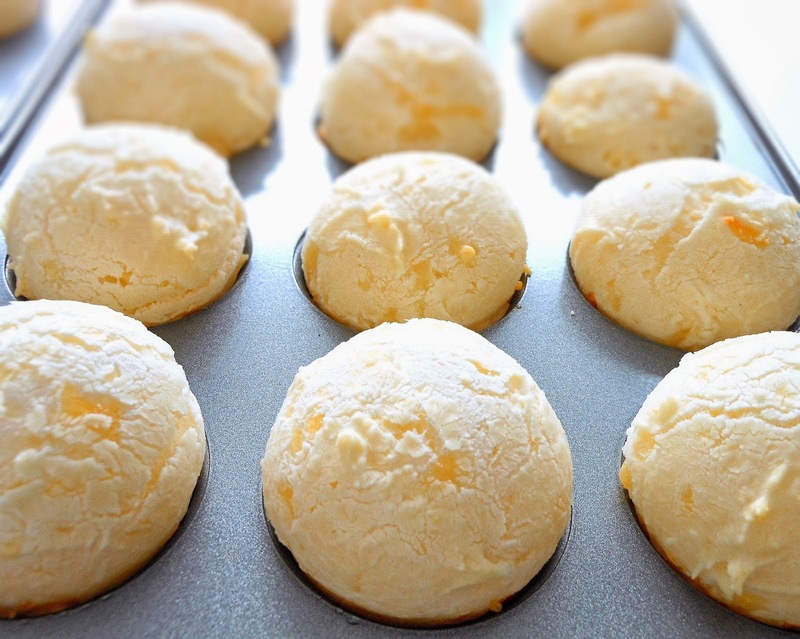 I finally saw a recipe of Brazilian Cheese Bread that I thought it would be close to what I had. After I tried the recipe, I was very happy with the result. The bread tasted very cheesy and chewy, and was exactly what I was hoping for. This recipe has been modified. I used a mini muffin pan and baked at 350 degrees F.
Combine milk, oil and salt in a saucepan. Bring it to a boil over medium heat. Remove from heat. Let cool for a few minutes. Add tapioca flour to the saucepan and stir until mixed. Transfer the dough to a stand mixer fitted with a paddle attachment. Beat the dough for a few minutes at medium speed until it smooths out. Beat the eggs into the dough until fully incorporated. Add cheese to the dough and beat on medium speed until fully incorporated. The dough will be sticky and stretchy. 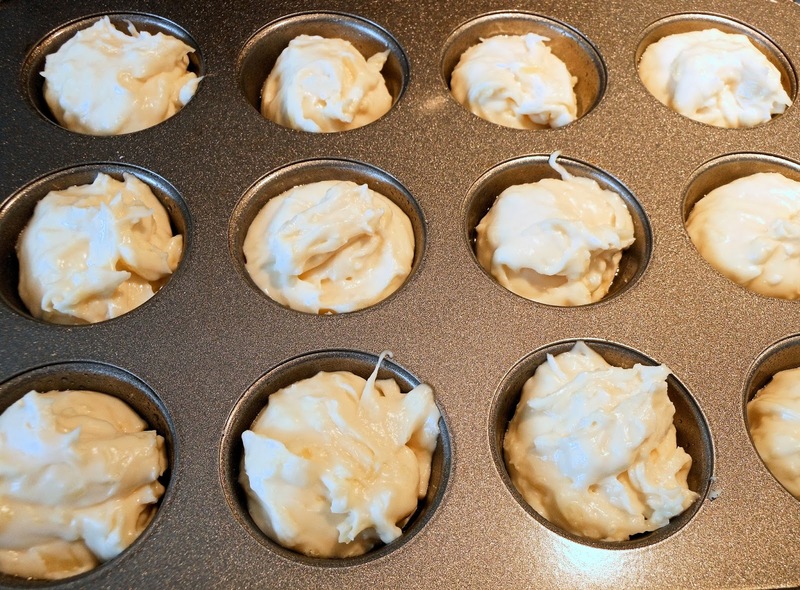 Spoon the dough into a greased mini muffin pan.